Back on Track’s dog products can be used to warm up your dogs' muscles before exercise, thus reducing the risk of strains or injury. Most importantly, they have the dual capacity to prevent injury as well as ease and expedite the recovery of already present injuries. 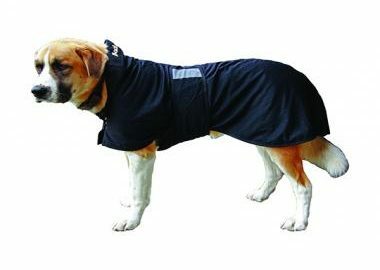 From beds and liners to coats and leg wraps, we have a wide variety of therapeutic dog gear for every dog. Our products are made with Welltex technology infused into the fabric, delivering greater relief and quicker recovery. 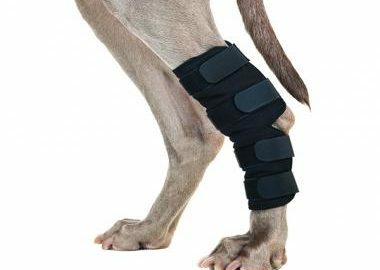 Best of all, our therapeutic dog gear may help arthritic dogs to move more comfortably. View Back on Track’s dog products below to learn more! I have used other blankets on my dogs for several years, but it was when I started using the Back on Track dog blanket that I noticed the difference. My older dog Lotus has a hip joint problem. He is very sensitive to the cold and becomes stiff easily so Back on Track has been a great help… compared to the usual dog blankets available. Stiffness that may appear after a rest period completely disappears after diligent use of Back on Track. Jenny Damm, Gold medal winner, Agility World Championships/National Championships, Crufts-winner agility, Winner of the Year Agility Dog, active national and international agility instructor. 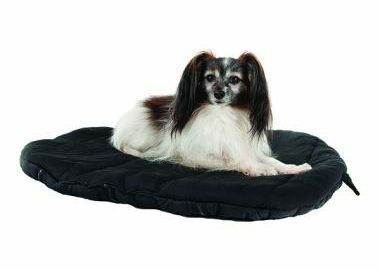 Keep your dog cozy and calm with our dog beds and liners. Shop our selection of dog coats designed with our Welltex technology. Our dog leg wraps leverage Welltex technology to provide therapeutic support for your dog.